Can I copy my form in Wix? How to receive form email at multiple email addresses? How do I customize confirmation emails? If you're new to email marketing, you might feel a bit overwhelmed. Don't be. You can start a simple email marketing campaign using just your personal email and some creativity. All modern email providers include the option to send emails via BCC, or Blind Carbon Copy. BCC works just like CC-ing someone, except people on the BCC list can't see one another's email. 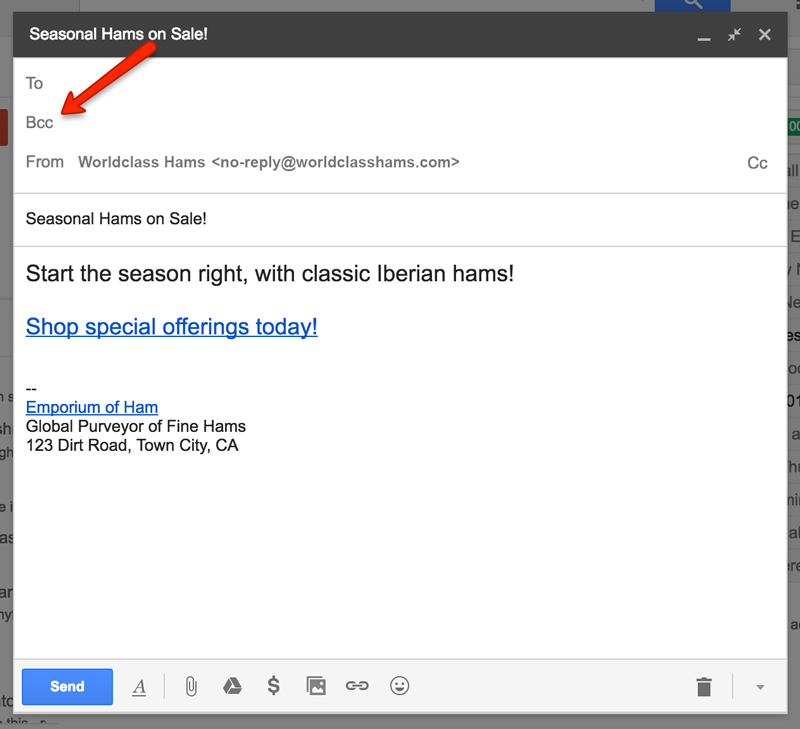 This makes it a quick and easy way to start a basic email marketing campaign. Just paste email addresses into the BCC bar, and send a promotional email as you normally would. Include a link to an offer, or discount code, or special announcement, so customers will have a way to find your store.